Painters have represented the blind in innumerable works like the famous painting of Peter Breugel and have also illustrated the story of Tobias or the legends of St Lucia or St Odile. Several artists have portrayed themselves as blind persons, like the Venetian Antonio Verrio or the English caricaturist, James Gillray. All of this is evidence of how painters were fascinated by blindness, which is the most dramatic trial that can afflict an artist whose reason for existing is his vision. The history of Art informs us that many artists were effectively blind. On the other hand, as far as painting pictures is concerned, one can speak simply of “pictorial blindness”, which means a deficiency of vision sufficiently advanced that the painter has to cease his artistic activity, without however being completely blind. Therefore, “pictorial blindness” is different from complete loss of vision. “Legal blindness” is different again as defined by the level of Visual Acuity and certain painters that are reputedly “blind” according to literary sources continue to read and write albeit with some difficulty. Exhaustive research of known painters who had become blind was naturally impossible. That is why our limited study was carried out on the artists listed in Benezit’s dictionary [BENEZIT 1999], which is a French reference work containing about 150,000 usable entries. We have covered two aspects: ophthalmologic and psychological. From an ophthalmologic viewpoint, the study necessarily deals with periods of history when the understanding of ocular pathology was still limited. Consequently, the ophthalmologic cause of blindness was rarely precise, which has given rise to hypotheses related to age. From a psychological point of view, the reaction of the artist facing blindness was classified as a negative reaction (depression) or a positive reaction ( compensatory activity). Fear of blindness was often a cause of severe reactions, even if vision was still preserved, thus providing additional proof of the psychological consequences of loss of vision. Our systematic research in Benezit’s Dictionary has allowed us to discover more than one hundred paintings in which “blindness” was mentioned. This number does not evidently have any absolute value and it does not allow any reliable statistical estimation. We only mention here those artists for whom a minimum of documentation has been discovered . 1.) 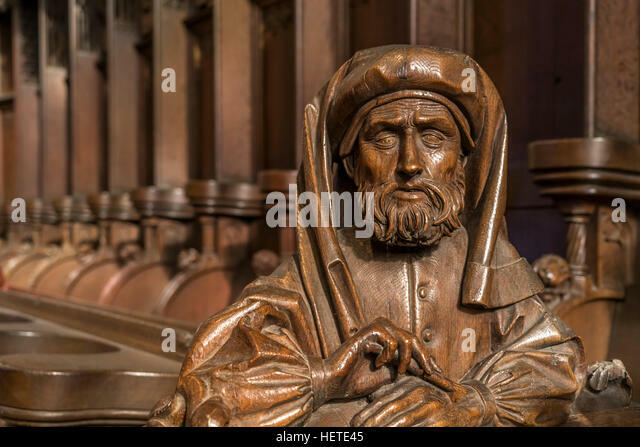 Artists who became blind in consequence of a known disease whose progress was unfavorable have been studied in the preceding chapters and it suffices to recall their names. There were, first of all, those patients whose cataracts were operated unsuccessfully or with complications: Rosalba Carriera, Honoré Daumier, Mary Cassatt, Eugène Laermans, James Thurber and Jean Hélion. Age-related macular degeneratyion (ARMD) was very probable for Carlo Marrata, Wilhelm van Mieris, Sergent Marceau and John Tenniel; this diagnosis was also confirmed positively for the following artists of the 20th Century: Philip Steer, Georgia O’Keeffe and Paul Delvaux. Pathology of the optic nerve led to blindness from glaucoma for two artists: Jules Chéret and Louis Valtat. One case of a more uncommon form of optic neuropathy struck the English painter and writer, Wyndham Lewis, who became blind as the result of a chromophobe adenoma of the pituitary . 2.) Hypothetical Etiologies for Instances of Blindness in Painters Aside from some definite etiologies, there exist a large number of artists in whom one could only make more or less plausible hypotheses. A Hereditary Disease could be proposed if blindness occurred in several members of the same family. We have two examples of this happening. The Netherlands family, the Knips, has produced several generations of painters [HERTOGENBOSCH 1988]. Nicolas-Frederik Knip (1742-1808), a painter of flowers and landscapes, became blind when he was almost fifty-five. His son Joseph-August Knip (1777-1847) lost an eye in 1826 at forty-nine and became blind at fifty-five in 1832 . [TILBURG 1975] On the other hand, there is no indication of blindness in other members of the family and the best known representative of the family, Henriette Ronner-Knip (1821-1909), a famous painter of cats (1808-1909), painted up until the day she died at 88. Furthermore, the French painter Paul Anastasi (1780-1850) started a painting career of historical portraits, but was struck by paralysis at thirty-two. He was then admitted to the hospice at Quinze Vingts, where he died and where his son Auguste Anastasi (1820–1889) was born. The latter became a distinguished landscape painter in the style of the Barbizon School, but, like all the others, became blind when he was fifty. The hypothesis of a hereditary etiology is a possibility, but research data did not support this diagnosis. When he first became blind, Paul Anastasi attributed this to cranial trauma that occurred ten years earlier, which is an improbable supposition. Furthermore, the descriptions that his son left in regard to his own visual difficulties did not allow any precise conclusion. [MIQUEL 1985]. The hereditary hypothesis is, of course, a tenuous one and we may, in fact, be dealing with a coincidence. Early bilateral blindness, i.e. bilateral loss of vision happening before the individual is fifty, was discovered in four artists. The Milan painter, Giovanni Lomazzo (1538–1600) lost his vision at thirty-three without any known diagnostic etiology. [VASARI 1985]. 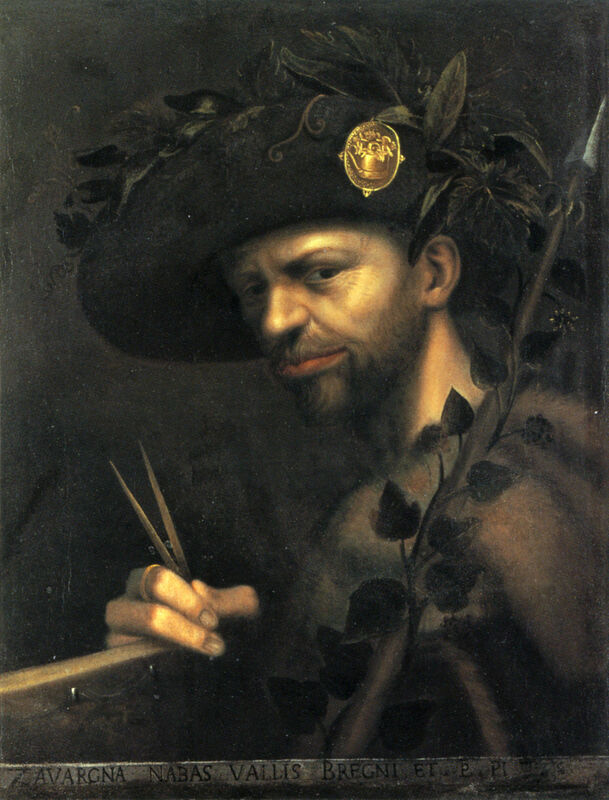 Giovanni Lomazzo - Self-portrait, 1568. Oil on canvas, 56 x 44 Milan, Brera pinacoteca. The Belgian painter from Liège, Gérard de Lairesse (1641–1711), who worked in Amsterdam and was nicknamed “The Poussin from the Holland” became blind at fifty [ROY 1992]. The favored diagnosis of his condition was Syphilis, by reason of the apparent absence of his nose, which is a classical stigma of the advanced stages of the disease. Rembrandt Van Rijn.“ Portrait of Gérard de Lairesse ” 1665. Oil on canvass. 112 x 87 ( New York City: Metropolitan Museum of Art) Lehmann collection . The latter diagnosis, as one knows, was too often made not so long ago, but General Paralysis of the Insane seems nevertheless certain in the tragic case of the symbolist Russian painter Mikail Wrubel (1856-1910) who became paralytic, blind and demented at the end of his life [GUERMAN 1986] . The Belgian painter Hendriks De Smeth (1865 –1940) lost his sight at forty-three and wrote poems from that time onwards. Giovanni Baglione (1563-1643) was a painter from Rome who was a fervent disciple of Caravaggio. In 1630, he was turned down for the commission of decorating the Church of St Louis des Français, by reason of his deficient sight. [SMITH O’NEIL 2002]. The Venetian painter Antonio Verrio (1630–1707) pursued a career as decorator of churches in England. He was unsuccessfully operated for cataract and benefited from a pension for the blind [TREVOR-ROPER] . Besides cataract, age-related macular degeneration (ARMD) could be diagnosed in several famous artists whose Art historians inform that they became very poorly-sighted after eighty. Thus, the Baroque Bologna painter, Giuseppe Maria Crespi (1655–1747) who was ninety-two became blind. 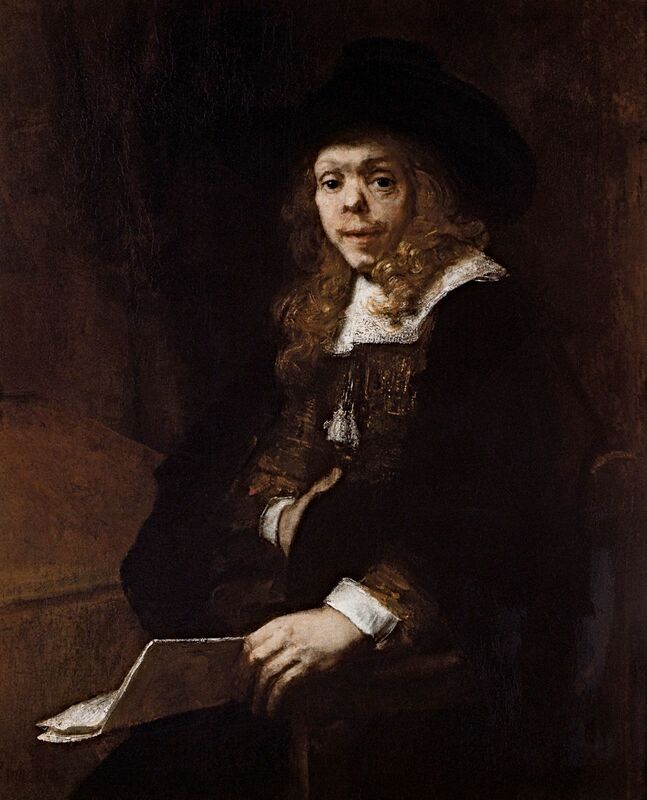 Likewise the Netherlander Wilhelm van Mieris (1662–1747), who was a distinguished artist from a reputed family of painters from the Golden Century, became blind. Hyacinthe Rigaud (1659–1743), a famous portraitist of Louis XIV and John Tenniel, already monophthalmic from the age of twenty, but who reached ninety-four (1840–1914), both became blind. All of the above suppositions, meantime, remained just hypotheses that can be discussed in the absence of precise medical documents; and, of course, other frequent pathologies, like diabetic retinopathy, could be discussed indefinitely. Also, in the majority of cases, it was necessary just to resign oneself to the vague diagnosis of “blindness in old age”. 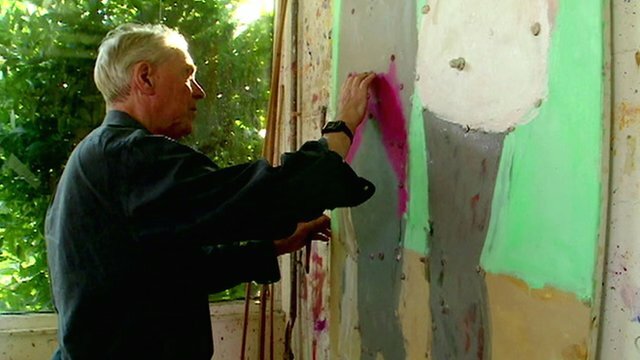 Psychological Consequences The study of the psychology of painters struck by bilateral loss of vision has produced evidence of reactions classified schematically into negative and positive. It is appropriate to point out at this stage that these reactions could have been produced before the occurrence of bilateral loss of eyesight, just because of the fear of that condition. Negative reactions occur in varying degrees of severity. The least negative degree was the alteration of artistic technique. Because of fear that he would lose the sight in his right eye after the detachment of the retina, George Du Maurier gave up painting in favor of drawing, in order to preserve his vision in the good eye. Rodolphe Töppfer, obsessed as he was by his entoptic phenomena, gave up painting and moved into caricature drawing. On the other hand, neither the one or the other actually became blind. In striking contrast to the preceding, the forced cessation of their Art in painters who became blind was an unpleasant experience for numerous artists, e.g. Rosalba Carriera, who languished in a deep depression after failure of her cataract operations [SANI 1988]. However, the worst aspect was the suicide of several painters that was caused by their poor visual acuity. We have discovered four French artists of the 19th Century who ended their lives by suicide: Marchal, Soumy Tassaert and Chaplet. 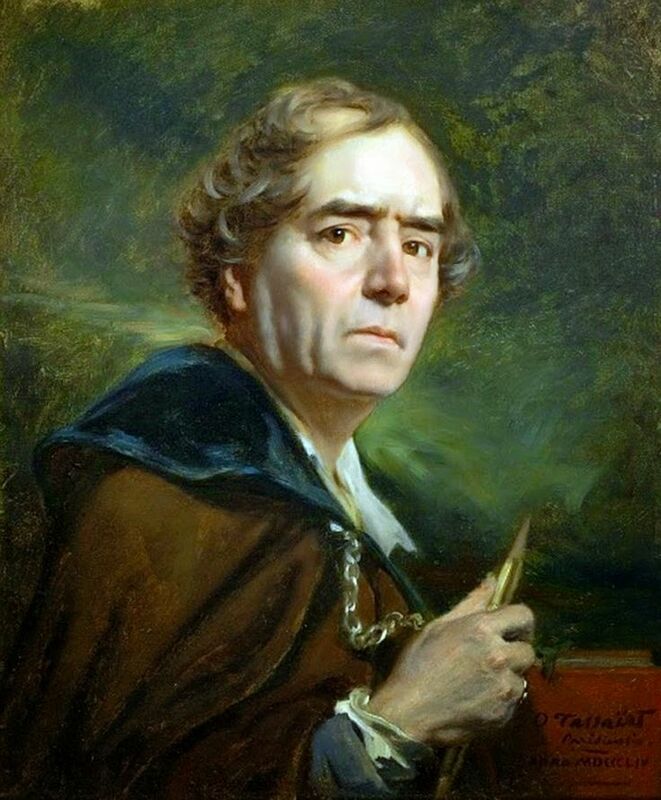 Octave Tassaert, (1800–1874) a “disturbed spirit” or perhaps just “neurasthenic”, suffered throughout the whole of his existence because he believed that his painting was not appreciated. Octave Tassaert. “Self-portrait”. 1854. Oil on Canvass. 65 x 51, Montpelier, Museé Fabre. His vision having declined after seventy, (doubtless because of cataract), he committed suicide by using a charcoal stove for that purpose. This was said to be the preferred method of suicide for the poor. Ernest Chaplet (1835-1909), miniaturist, ceramist and inventor of new color procedures, feeling that blindness was approaching, destroyed all documents describing his methods of fabrication and shot himself with a pistol bullet. He missed, shattering only his jaw and died only after several weeks of severe pain and misery [Paris, 1796]. “Positive reactions” to blindness or to the threat of this in other artists were more gratifying. The changes occurring in the vision of these artists was a stimulus to produce, to redouble their activity by modifying their styles and techniques as necessary so they could adapt to their reduced visual acuity. The most impressive example of this behavior was, without a doubt, that of Edgar Degas (1834-1917) who was functionally monophthalmic from thirty onwards and whose vision steadily deteriorated. Repeating over and over again that he would soon become blind, not in any way less did he continue to produce works of Art until he became almost blind, but never totally so. Another positive attitude was represented by what one could call the “swan song” of an ageing artist who, threatened by the possibility of no longer being able to see, threw all his effort into a final work in order to leave behind a pictorial legacy. We are, of course, describing the attitude of Claude Monet (1840-1926), who created at seventy-five, “Les grandes décorations” that are currently in the Orangerie of the Tuileries Gardens. Meanwhile cataract had deprived him of the sight of the right eye and had started to affect his left. Happily, Monet was operated and did not go blind. It should be emphasized, however, that, even when both eyes are blind and more or less completely so, the attitude of the artists thus affected could be positive. Instruction in painting was for several artists the means of inserting themselves back into active life despite their blindness, as is demonstrated by the behavior of the various artists cited above. Piero della Francesca published learned treatises on geometry when his declining vision stopped him from painting. Giovanni Lomazzo, who became blind at thirty-three, wrote poems and produced a work on painting that was filled with Neoplatonic Philosophy . This gave him more fame for posterity than any of his paintings. The drop in visual acuity experienced by Giovanni Baglione incited him to dedicate himself to the work which gave him his reputation as a historian of the Art of the Baroque in a text entitled, “La vita dei pittori, scultori et architetti”, (1642).Gérard de Lairesse, who became blind at fifty, gave lectures of instruction in painting that were subsequently compiled in 1707 by his son into a “Grand livre des peintres”. This was very successful and was translated into many languages in the 18th Century, including Japanese. In the same way, Jacques Paillot de Montabert (1771-1849), who was a painter from Troyes and who became blind at sixty-three, published a treatise on painting in ten volumes, which was rated highly. The ophthalmologic study of painters who became blind has resulted in limited conclusions. The small number of documented artists did not permit any statistical conclusion. Etiologies were missing in the majority of individuals afflicted by bilateral blindness. One could be particularly surprised by the rarity of cataracts that were operated, but it is very likely that many painters were not operated in those times because the operation was an adventure that often ended in complete blindness. In regard to the greater problem of decreased vision in old age, the only factor available for orienting the diagnosis towards one of the major causes of blindness could be the actual age of the patient. In this regard, one accepts that glaucoma generally comes before cataract and cataract precedes macular degeneration. Such is, however, a very poor indicator for diagnosing the cause of blindness in any individual. 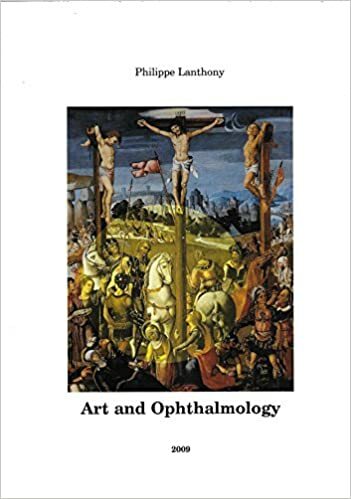 The study of the psychological effects of blindness was, in contrast, sufficient to take account of the diverse attitudes of the artists who were confronted with blindness. Furthermore, the reactions of the painters was related first and foremost to the individuality of each. Obsession with blindness, attested by so many works of Art, was not a theme used by artists like any other artistic theme. By painting blind people, every painter paints, more or less consciously, what he or she fears they would one day become.